Human beings are predictable. The common initial reaction to this is anger and disgust - how dare someone make such a generalization?! Freedom of choice and speech is the essence of civilized society, and there can't possibly be predictability to that. And to some extent, that rebuttal is right. Humans aren't ENTIRELY predictable, but in a lot of ways, we are. Our demographics, geographic location, and lifestyle choices have an incredible influence on how we behave and interact with the world around us. The prime example of this is Facebook Advertising. With substantial amounts of data on you, Facebook can sell spaces on your timeline to brands that want you to engage with them. This is already intriguing at a surface level, but where it really gets interesting is with retargeting. My new job has led me to be aggressively retargeted by software companies on my personal Facebook account. If you visit a brand's website, they can tag you with a pixel that connects to your Facebook account. Then, when setting up their Facebook Ads, they can retarget you on Facebook with messaging having known that you've already been on their site. I'll dive deeper into ads in another post, but the main concept here is identifying intent. In digital marketing, there are indicators in every facet of a business that demonstrate the intent of a user. I've gone over this a bit in one of my earlier posts, and how each page on a website has a different purpose for the visitor. The pricing page might be geared to getting an email from or demo scheduled with the visitor, whereas the case study page might be designed to educate the visitor on the product. Just as how a visitor that hits your pricing page has a certain type of intent, your customers/users have different levels of intent depending on their interaction with your product. This is where marketing can really shine - instead of guessing at a vague buyer persona, you can use the data you collect to really dig into what your ideal buyer looks like, and how they progress throughout your funnel. That was a bit of a jump, so I'll walk through a cheesy example (literally) to make it clearer. Imagine you're running a pizza deals + delivery app, and you're trying to figure out what marketing campaigns to run. The goal is essentially to drive more revenue, but where do you start? How many days does it take for a user to go from registering for the app to ordering their 1st pizza? What does this order typically include? How many days does it take for a user to order a 2nd pizza after their 1st? What do these orders typically include? Which users order more than a single pizza? What times are these types of orders most popular? 90% of users order their 1st pizza within 2 hours of downloading the app. The average order is (1) medium pizza. Of those users, 40% used a discount code that gets them free delivery. Users typically order their 2nd pizza about (2) days after their 1st. Only 15% of users had a 2nd order, but of those users, 60% had used a discount code in the past. The majority of 2nd orders include (1) large pizza and 1lb of wings. Users with their credit card attached to the app are 2x more likely to have larger orders. These orders are most popular between 11pm and 2am on Friday and Saturday. These insights are all incredibly powerful. Each point above indicates a level of intent from the user, and a hypothesis that can be tested by the marketer in a data-driven way. The gut reaction to hearing the word 'test' in relation to marketing is to suggest an A/B test. Just run two different versions of the campaign, and whichever converts better wins! This is great in theory, but in practice there needs to be more thought put into how the campaigns will work. There should be reasoning behind each test version and a desired outcome + way to track it. Given that we're already pretty baked into this pizza example, lets run with it to get some ideas for campaigns to test. See below for a breakdown of the campaign name, goal, and details following the number format above. Purpose: offer free delivery as an in-app push notification while on the checkout page, see if this increases the chance of conversion (completing an order) for users who just signed up. A/B test: can free delivery increase the order value? Try only offering free delivery if they add a side to their order. Logic: 40% of first users are using a discount code at checkout, meaning that's probably an incentive to download + use the app in the first place, so let's test on everyone else. Methodology: send a push notification with a discount code if user splits with a friend (on the app). See whether this increases order value + conversion in comparison to the core group. A/B test: split order with or without discount code - see what effect the code has on orders if the user is already prompted to split. Logic: the order size of pizza and wings is fairly large, so we can assume it's for more than one person. If we test to split the cost, we not only can increase order value but also the amount of people on the app. Methodology: send a push notification around 10pm to encourage impulse purchases after a night out. Compare campaign conversion rate to typical conversion rate. A/B test: messaging could be especially interesting here, whether appealing to club/bar go-ers, or people that stayed in for other reasons. Logic: help suppliers by encouraging purchases before the peak 11pm to 2am times. Delivery usually takes 30-45 minutes, so correct messaging can get users their food on time VS ordering last-minute. It's easy to come up with marketing campaigns based on general assumptions, but it's hard to justify the spend on them or the structure of the test. Looking for user intent through data is the ideal way to setup trigger campaigns that leverage what you already expect your users to do. And while it is a little sad that humans are becoming more and more predictable, at least we will all get discounted pizza! Like what you read? Subscribe to my email newsletter below to get the latest articles, top things I'm reading, and more. When I think of a company like Uber or Airbnb, and what they 'do', the answer is pretty straightforward. Uber gets you from one place to another, and Airbnb provides you with temporary housing. What I've learned in my past month at Clearbit, is that what your company is known for rarely translates directly into a single product. For example, at Clearbit we're known as a data company. We have a vast database of companies and contacts that we provide access to, helping sales and marketing teams to better understand their leads and customers. Our core product, Clearbit Enrichment, integrates with Salesforce, and is the best demonstrator of our service. We also have a number of other products, namely our free Chrome extensions (Connect for Gmail/Outlook and Salesforce Lite). Similarly, Uber's reputation (aside from their PR troubles) can be linked to their main product that connects riders with drivers, i.e. uberX. However, they also have a number of other products. UberEats and UberRush are both divisions of the core business that don't directly link back to their reputation like uberX or uberPOOL does. This makes perfect sense from a business perspective - no successful company has all their eggs in one basket, as it's necessary to diversify and test new markets in order to thrive as a company. The caveat is how these products work together, and what this means for their sales/marketing teams. Selling to a Company, not a Decision-maker. Having worked on a few sales teams, I can attest that one of the main learnings that is drilled into a new hire is identifying the decision-maker. Companies spend an incredible amount of time determining their ideal customer profile, and making that the root of their efforts in prospecting, setting up meetings, and trying to close the deal. The challenge that any sales team will face is the buying cycle. Some companies aren't ready to buy when you reach out to them, while others will take some time to understand your product. Clever salespeople will put these contacts into an email nurture campaign opposed to disregarding them completely, but is that enough? This brings up the idea of cross-pollination with products. Understanding how the various products of a company intertwine can enable a sales/marketing team to really leverage both their customer base and lead pool to accelerate sales cycles and increase engagement. Personas don't stop at Demographics. It's easy to classify your buyer personas based on demographics/firmographics if you have the right data. A lot of companies use solutions like ours to enrich their databases, and ensure their targeting is up to par. The next level is to understand how these personas link to product usage. I'll use Clearbit as an example of how this comes into practice. The decision-maker in a lot of deals are people who work in sales operations or marketing operations. Their job is to enable their sales/marketing teams to be more efficient, hence increasing data quality is a surefire way to do so. With that being said, it's not easy for a thriving company to pivot from one data solution to another, or implement one altogether if they don't have an existing one in place. Sales operations teams normally exist when a company has 10+ sales reps, and trying to change their workflows can be chaos. Hence, many people in sales operations might scoff at our flagship solution, Enrichment, or might take weeks to deliberate with their sales team and determine whether it's a good fit. The solution? Salesforce Lite. Salesforce Lite is our Chrome extension that allows sales reps (not operations) to have the Clearbit widget housed directly in Salesforce. This enriches their contacts as soon as they open the page, giving them up-to-date information on the person without having to install a complex integration or get approval from a manager. A product like this, while free, creates buy-in within the organization before the decision-maker is even exposed to the actual (paid) product. We've now created a link between two products, and a reasonably clear funnel that wasn't in place before. While you might think that this type of relationship only functions with B2B SaaS companies where decision-makers, buyer personas, and all of that jazz is present, it translates to B2C companies as well. Reverting to the Uber example, there is a clear relationship between their flagship products and other products that has a deeper meaning than "expanding markets". While customers may primarily use uberX is the morning (7am - 9am) and evening (5pm to 6pm) to travel to/from work, UberEats is another opportunity to keep those users engaged in the interim. Ordering from Uber during lunch ensures that (1) drivers are kept on the road, switching from uberX to UberEats and (2) users keep relying on Uber for their day-to-day, despite not needing to physically travel anywhere (which is Uber's primary reputation). This might seem like one of those pieces of information you hear in a lesson that makes the concept more interesting, but nevertheless is a concept you already know. "Keeping Customers Engaged" is pretty tightly tied to "Expanding Markets", since they both tie back to revenue, right? The main difference is how sales/marketing teams can use this information. For Clearbit, understanding how a rep uses Salesforce Lite is crucial to how we position Enrichment. A rep with Salesforce Lite gets unlimited enriched contacts, but a limited amount of additional prospecting of that account. If a number of reps are using the widget and the prospector, it's possible that the company is in need of leads and that feature is the tipping point for a decision-maker. A better fit could be Prospector, and this outreach decision can be made by our rep before sending any communication. There's also the scenario of the same user interacting with two products. If delivery times at pushing 60 minutes, which as a hungry student I can attest to, then does it make more sense for Uber to offer a discounted ride to the restaurant in order to increase purchase value AND provide more jobs for drivers? How does UberEats times interact with uberX surge pricing? These are all prime examples of sales/marketing teams diving into the data and use cases behind their products, leveraging the idea of cross-pollination to drive growth in the business. Instead of thinking "This would be a cool feature" and trying to find the data to back it up, maybe it's a better call to first examine how current products interact, and what the gaps might be there (referencing the data). I'm a marketer, not a product manager, so I can't claim to understand the intricacies that go into tracking product data and determining new features. However, at smaller companies (like Clearbit), growth teams do get a lot of visibility into these conversations, and I can say it's been a thrill diving into our various products and understanding the data behind them. Like what you read? Subscribe to my email newsletter below and be the first to know about what I'm reading and writing. Thanks for subscribing! Please click the confirmation link in your email inbox from Mailchimp to ensure you get all my updates! Gearing up for my podcast this Wednesday with Nspire, I thought I would use this post to summarize the practical part of what I plan to say. Namely, the hard skills you should start building if you want to have a career in digital marketing. Search Engine Marketing (SEM): using paid advertisements (Facebook Ads, Google Ads) to promote your product. Content Marketing: the creation of content (video, articles, etc) for your product, with various purposes. Learn more in this post. Marketing Attribution: tracking the performance of your marketing efforts (i.e. conversion rates). Learn more in this post. Email Marketing: the use of email to communicate with leads or customers. Learn more in this post. Partnerships/PR: using other mediums (i.e. news, social media) to gain traction for your product. Offline Marketing: the use of events and in-person tactics to promote your product. Content: platforms like Medium are very easy to use, but you can take it a step further by knowing tools like Wordpress or Squarespace. Learning Mailchimp is great for email marketing. Analysis: the gold standard is Google Analytics, and their academy is free to attend! Excel is very useful, along with SQL, to pull your own data. There’s a free tutorial on the latter here. Testing: tools like Optimizely and Unbounce are very common, to A/B test ideas and landing pages. SEO/SEM: AdEspresso breaks down Facebook Ads pretty thoroughly, while Google Academy covers their ad network. Check out Neil Patel’s podcasts for more on SEO. Nailing down some of these skills will make your value proposition as a digital marketer clear, and make it considerably easier to secure a job or internship. If you’re not sure how to start looking, you can read this post. I'm moving to San Francisco and I want to keep you in the loop! Sign up below for my email newsletter where you'll hear what I'm learning, reading, and doing in my new journey. Thanks for signing up! Remember to click the confirmation link in your email from Mailchimp so you can start receiving my newsletters ASAP. 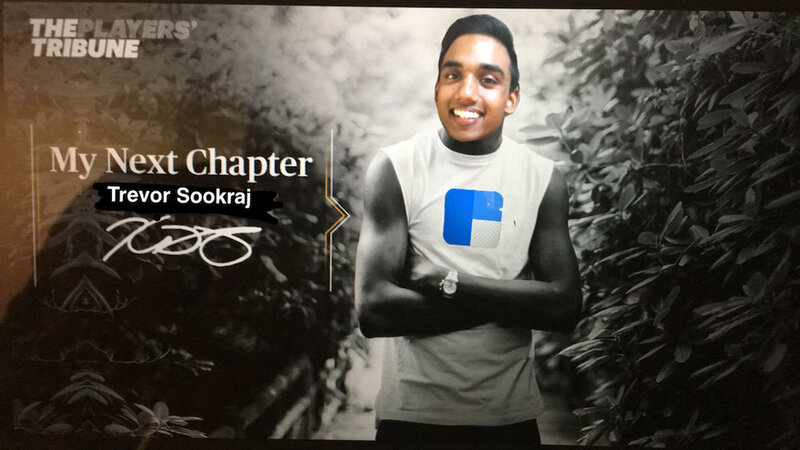 Full credits to Steeve Vakeeswaran and his superhuman abilities to edit on Snapchat. As an individual, I consider myself to be rather untraditional. I chose an arts degree over a business one, a tech job over a corporate route, and I'm most involved in a fraternity opposed to a career or academically-inclined club. These things my parents have all eventually come to terms with. The taboo in my household is stopping my education - until now. One of my good friends sent me this tweet recently about an opening at a data enrichment startup called Clearbit in San Francisco. The ideal person had a background in sales/marketing, but also had a competency for data analysis and working knowledge of SQL. Although I had already planned my coming year out fairly well, I'm always on the hunt for a new challenge. Having already done contract marketing work for a few startups, I thought this might be an opportunity to add to my experience. I sent off a quick email with my background, and followed up over Twitter to ensure he received it. He did - and wanted to chat the next day. After speaking with different members of the team, I received an offer to join Clearbit in a growth/marketing capacity. The role would be full-time, and I'd have to relocate to San Francisco. This brought up the tricky situation of deferring my schooling, as Western University unfortunately doesn't have a satellite campus in California. There were a million things flying through my head at the time, but I hope this post breaks down my thought process in an understandable way. One of the biggest pulls to working at Clearbit was the fact that they were located in the heart of San Francisco, the place to be for anyone even remotely interested in tech. Having visited the Valley in February 2017, I knew this was the case, and wrote about all of my findings here. This included the caliber of people and volume/intensity of tech companies that you can't find anywhere else. My favourite photo from my SF trip - getting to meet Evernote CEO (and Huron College graduate), Chris O'Neill. Although I did consider doing an internship in San Francisco next year, I knew it wouldn't be the same. It would take 1-2 months to get settled, and with a typical internship, that leaves practically no time to develop meaningful relationships and find your groove in the city. Hence, the only viable alternative was pursuing full-time employment. I can't predict what the landscape for visas and appetite for Canadians will be in 2019, so the only definite opportunity I had was now. It's often said that internships are great because they help you figure out what you want to do with your life. Knowing that I want to be in tech, I started my journey towards a final decision last summer. I found a strong interest in growth/marketing, and got deeper into the field during my sophomore year by doing contract marketing work for startups. Mid-way through the year, I knew that tech marketing was the perfect fit. With that in mind, my next goal was to optimize for learning. 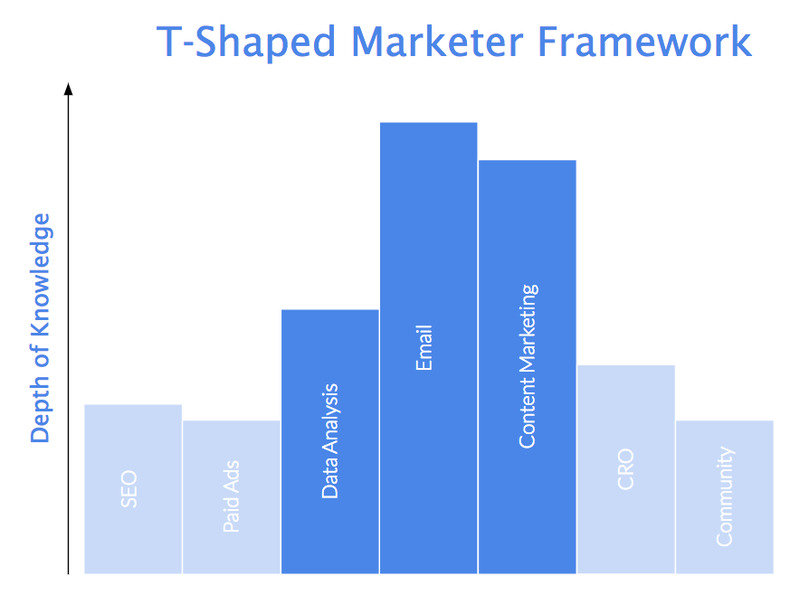 I've referenced the t-shape marketer by Buffer in past posts to show how every career path has a diverse skillset that one needs to learn in order to be successful in that practice. Having started the marketing & sales side, the other area to expose myself to was the data analysis end. This summer at Shopify, while interning in business operations, I was able to do exactly that. I worked with SQL every day, felt a lot more confident using Excel, and more importantly knew how to look at problems quantitatively and present ideas in a data-driven way. In the last few weeks, I've been reflecting over how I should spend my remaining years at university to continuously build my skillset. The reality is, the amount you can learn/do as an intern or contractor is limited. Even at an amazing company like Shopify, where I can tackle whatever I'm interested in, I still only have 3-4 months to make a tangible impact. Running a marketing campaign or overseeing the build-out of an attribution system is simply not something you can do in that short time period. Hence, the solution was to dive into full-time employment. I knew with this one-year timeline I'd be able to expose myself to a lot of problems that I hadn't seen before (given the smaller size of Clearbit), while also having a much greater amount of autonomy than I've had in the past. The most exciting part was that when I returned to school, I would know exactly what I needed to learn to become that much better of a marketer when I do graduate. They tend to present themselves when you're not expecting it -- and often when you are engaged in other activities that would seem to preclude you from pursuing them. And they come and go quickly -- if you don't jump all over an opportunity, someone else generally will and it will vanish. I could have convinced myself that a similar opportunity would come up after graduation, and that taking a year off would simply put me behind in comparison to my peers. I could have also said that I was already in a good spot for employment, and a safer bet is just to enjoy my remaining years at university and take it easy. Instead, I decided to follow Andreessen's advice, and dive headfirst into an opportunity that could change the trajectory of my entire career. I want to give a special shoutout to everyone that helped me make this decision, as is easily the hardest one I've had to make in my life. My parents and brother, for supporting yet another one of my crazy ideas, knowing that I (attempt to) do everything in my best interest. My friend & colleague Steeve Vakeeswaran, for finding this opportunity and helping me think through the decision. My mentors, Niles Lawrence and Jaxson Khan, who have always thrived on untraditional pathways, and reassure me that I can too. And also the handful of people who all recently had very similar experiences (you know who you are! ), and act as some of the few references on this rocky road. I also want to give a shoutout to Huron University College, for being incredibly supportive in my decision, and helping me coordinate my deferral. Their liberal arts approach has also encouraged me to be critical of traditional pathways, while their tightly-knit community is a big reason why taking this opportunity was even a possibility. Lastly, to Clearbit - I'm ecstatic to be given this opportunity, and I promise I'll make your risk worthwhile. Looking to follow me on this new journey? Subscribe to my email newsletter below to get updates on what I'm learning and recent pieces that I publish. Thanks for subscribing! Remember to click the confirmation link in your inbox (from Mailchimp) to ensure you're receiving my newsletters. Tracking your user from lead to advocate. For an early-stage startup, it's fairly common to create a set of buyer personas. The process normally evolves from making assumptions about what types of companies are the best fit for your product, and then talking with the sales team to validate said assumptions. While this is a good start, it's very temporary and hard to scale. Having worked with both large companies like Shopify Plus, and smaller startups like Turnstyle and #paid, I've seen the various models you can use to collect and work with marketing data, and the success these models have depending on company size and structure. In this article, I'm going to dive into the idea of marketing data and the role it should play in your company. We all want to make data-driven decisions. There's an allure to throwing stats at your colleagues when proposing a product, refuting their weak, emotionally charged objections with cold, hard, data. The issue, however, with many startups is that their data set of customers and leads is simply not large enough to draw a logical conclusion on what works and what doesn't. This raises the challenge of when to make the jump from testing an idea to proposing an approach based on data. For example, most startups that specialize in the B2B space are going to be very sales-heavy in their early days. If you don't have a large customer base, budget, or inbound traffic, it may not make sense to invest in areas of marketing like content creation, lead nurturing, and retargeting. While I do address that notion in this article, it is worth noting the difference between collecting data and actioning data. I like to think about the relationship like hosting an event. Tickets for a conference will go on sale months before the actual date, and a number of the finer details will change based on registration. A smart planner might change a specific session focus if a large proportion of the attendees are from one industry. Notice that the focus of the event is unlikely to change, but data is being collected from day one. Changing conference seating based on attendees can increase engagement. Likewise, if you are running a small startup and have yet to develop consistency in your client base, it doesn't make sense to make decisions primarily driven by data. In most cases, doing so will result in skewed tests. For example, you might decide that India is the ideal market for your product, because 5 of your 10 inbound leads are from India, as is your only paying customer. This is simply untrue due to the small amount of data you're working with. There are a lot of corners you can cut when you’re building your MVP, but lack of data can haunt you. Think very carefully about what the minimum viable data is. You don’t even have to look at it, just log it somewhere, so you have it when you need it. This observation has strong parallels to marketing. When you have the data (and budget) to make decisions about paid advertising and SEO, there will be a sense of regret if you don't have data behind how your early users came to your site, and what search terms have been hitting your site the most over your product's tenure. User onboarding: is there a noticeable pattern among your trial users that come from certain marketing channels? It's possible that a larger percentage of your users captured through organic search are dropping off due to misconceptions around what your product does. The solution might be to revisit the funnel of those users, and see how you can optimize your landing pages and messaging to get users that stick, and nurture those that won't. Identify pain points: as a marketer, it is incredibly intriguing and useful to see the pages that a visitor has seen before converting into a lead (give their email). What can be even more intriguing is the pages visited by your customers. Are there certain pages that are frequented significantly more by your highly engaged users compared to users that drop off, or vice-versa? Do certain assets (i.e. industry reports) increase user activity if downloaded by customers? Mode Analytics addresses user drop-off with their tutorials. Even if it's clear that all types of companies should be collecting marketing data, where do you start? I divide it into a few different types below, with mediums you can use. 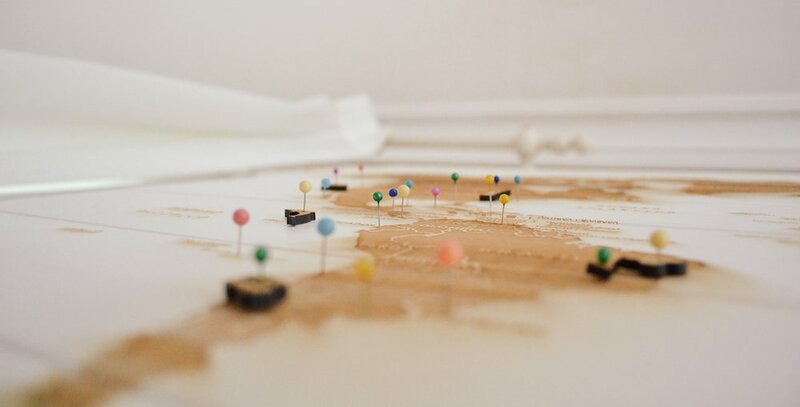 Visitor Data: Use a free tool like Google Analytics to connect your site and start measuring your daily views, popular pages, and more. If you're feeling adventurous, you can set up a Goal and start tracking inbound conversions. Lead Data: Sales teams need to be meticulous with their efforts early on, to see what works and what doesn't. Use a free tool like Hubspot CRM to manage your outreach. They will get an idea of the industries, titles, and other categories leads are in, and which ones are successful. App Data: Most developers already have some function of storing user data, though programs like Keen IO make it a lot easier. If your developers already store their data in a warehouse like Redshift, you can use Mode Analytics to interact with it. This is only a general outline, and it will take you some time to decide on what stack works best for you. More than anything, it is crucial to decide early on that you will be collecting marketing data, and have it organize in some way. As long as you have a key (i.e. email) or other token that you can use to link your data together, it will be significantly easier to make data-driven decisions when the time comes. Like what you read? Sign up below for my newsletter where I share more marketing tips, articles I'm reading, and my latest posts. Thanks for subscribing! Remember to click the confirmation link in your inbox from Mailchimp to ensure you start getting my newsletter. I wrote an introductory post on SEO that gives you the raw basics on the idea behind SEO and how it works. Give that a read first! Before you go shedding thousands of dollars on optimizing your website for SEO, take a step back and re-evaluate your focus. I mentioned in my last post that (on average) search makes up 30% of your total traffic. While this is very impressive, there’s a belief that SEO will perform miracles for your site. That isn’t necessarily the case. In fact, without a strong foundation for your site, you’ll end up spending a lot of money on having an SEO agency build something that you could do yourself. In this post, I’ll dive into how you can think about SEO while building your site, and small tweaks that will make noticeable differences to your search engine traffic. When looking at SEO, it can be helpful to think about your site as a physical store. Someone passing in front of your store (homepage) may not have actual intent, compared to somebody that approaches a store rep (Contact Us page) or inspects a price tag. With that in mind, your website should be structured in a way that makes it easy for people who have intent to get what they want, and those who are unsure to find out more/be convinced. I’ve written about how to target people at different interest levels here. For a simple software company, this could mean having a visible “Contact Us” or “Free Demo” button on the homepage, while also displaying call-to-actions that quickly segment your visitors. A site that does this incredibly is Turnstyle. You can either “Try for Free” or “Learn More”, dividing visitors by intent immediately. I mentioned in my last post how to optimize your description in Search Engines like Google to get the best click-through for your site. The second challenge is keeping people on your site, and that starts with headings. There are three main types of headings: H1, H2, and H3. While a CMS platform like Wordpress will give you the ability to choose what type of heading your text is, they are easily identifiable by size/weight. H1 is the largest, followed by H2, then H3. Why does this matter? Imagine stumbling across a site through a Google Search. The first thing you’ll look for is the heading (probably the biggest one) to see if it’s relevant to your search. Hence, the rule of thumb is to have maximum (1) H1 and (1) H2 heading on your page. Your H1 heading should clearly connect to the purpose of the page. If your title is “10 Marketing Essentials”, your H1 heading/subtitle could be “What most small businesses miss”, and your H2 heading could be “Creating a Facebook Page”. The flow from title to content is smooth, and readers who are interested in that topic will be more likely to continue reading. With site structure and headings out of the way, the final step is to optimize the actual content of your site for SEO. I mentioned in my last post about you don’t want multiple pages fighting against each other for the same keyword. This ties into how you should think about your actual site pages. If your site has a “Features” page, what keywords relate to your industry that you are trying to optimize for? A mattress company might look to target the words “improved sleep”, given that visitors who are looking for a mattress would favour that. Likewise, mattress company Leesa.com has the words “better night’s sleep”, “cooler night’s sleep”, and “amazing sleep” all on their features page, with the first actually being included in a heading. This ensures that anyone who is looking for a mattress and stumbles across Leesa.com’s site through a search engine sees what they’re looking for right away. I’ve mentioned before that SEO is not the miracle that will springboard your site into 10x visitor traffic. The reality is that SEO is simply a compliment to your existing efforts. Having more engaged visitors may not necessarily make an impact if you aren’t creating content that resonates with them, or placing call-to-actions (CTAs) that get them to complete your desired goal (i.e. signing up for a newsletter). Digital marketing is truly a cohesive game, and mastering only one part of the process can limit you as a versatile marketer. Pairing a mind for SEO with the ability to create relevant content can create a noticeable difference in how visitors interact with your site. I’ve written about how you can create content that sticks here. If you’re a growing business that seriously wants to improve their SEO, then it might be worthwhile to seek some professional help. However if you’re a small business or simply want to have your site’s search traffic scale with its popularity, then following these tips are surefire ways to improve your ranking and visitor engagement. Like what you read? Join my email newsletter below for more marketing tips, exclusive pieces, curated content, and more! Thanks for subscribing! Remember to click the confirmation link in your inbox from Mailchimp to ensure you start receiving my newsletter. As a marketer, I can identify with always wanting to tackle the most exciting and impactful project for a company. So I can easily say that I would rather be developing the launch strategy for a new product feature than combing through a website to optimize it for SEO. With this being said, I know that SEO is a key skill to learn as a marketer. On average, search traffic makes up 30.5% of total traffic for small businesses. Therefore it’s key that a business make an effort to integrate the idea of SEO in their content strategy. "Search engine optimization (SEO) is the practice of increasing the quantity and quality of traffic to your website through organic search engine results"
There are two factors here that are important to note: quantity and quality. The former is self-explanatory, and simply means driving more traffic to your site overall. The latter, however, is something to explore deeper. Visitors coming to your site via a search engine are very different from ones that are referred via, for example, paid ads. Search visitors often have a specific idea of what they’re looking for, unlike paid visitors who may simply be interested in the idea of your site. Let’s jump into the most basic and popular idea behind SEO to understand how to address these two problems. At first glance, the idea might be to flood every page on your site with keywords that you want to attract visitors from, in order to maximize the chance that your site is seen. 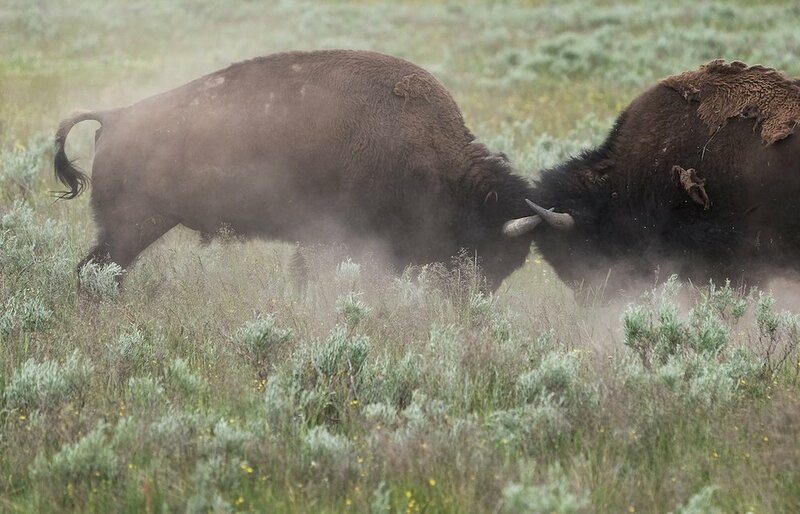 The obvious issue is that Google’s algorithm will pick up on this and penalize you for it, but the more crucial point is the idea of page competition. If all of your pages optimize for the keyword “Fidget Spinners”, then all of your pages are competing against each other for the highest page rank. It also means that someone searching for “Fidget Spinners” could be clicking on a different page each time they search, which dilutes your page traffic and makes it harder to improve your site rank. This means that you need to think carefully about how your site is structured, and what each page is designed for. For a software company, this often means having certain pages that emphasize certain product features, while others may aim for larger keywords related to the industry. Even with a strong page that is relevant to the user’s search, the next big challenge is actually getting the user to click on your listing. Wordpress, among other CMS platforms, allows you to edit how your page will show up in a search engine like Google. This includes changing the title, content, and relevant tags. The first result has a lengthy title, but the description is succinct and conveys to the user immediately what the page will entail. The second result has a more legible title, especially with the use of the ‘|’ character. One can only assume that gearbest.com has more site traffic than addictivefidgettoys.com, and hence gained a better ranking. Seeing Walmart fall below both of these results was surprising, but only reconfirms the strength of Google’s algorithm, and importance of SEO. Being a corporate giant with millions of products, Walmart definitely did not optimize this page for a specific keyword, however their site traffic and overall usability (seeing price and rating in the result) garnered them a top spot. On average, SEO efforts can take 6 months or more before you start to see results. The reason being that Google doesn’t consistently crawl your site, and hence won’t pick up on your changes and improved credibility right away. I will go into more depth in Part II about how you can alter each of your pages to improve its SEO, and a few other basics about keywords optimization. Subscribe below to my email newsletter and be the first to hear about articles like these, along with exclusive marketing content! Thanks for subscribing! Please click the confirmation link in your email from Mailchimp so you can receive my newsletter. I have a lot of hobbies, and recently I’ve taken an interest in cheese. As odd as it might sound, the idea of food getting better with age is almost counterintuitive. In the right environment, a mediocre cheese will age to perfection, while in other conditions it might become moldy and undesirable. Content creation is, in many ways, very similar to cheese. Fresh content is attractive, and can go viral in a short period of time. Older content can become stale, either by losing its relevance or by getting lost in the fray. Like cheese, however, handling older content correctly can enable it to make a huge impact on your marketing efforts including improving your SEO, time spent on site, and overall visitor experience. The idea of considering both fresh and older content in your marketing efforts falls into the idea of marketing segments: acquisition, inbound, and evergreen. Probably the most popular amongst the three, this type of marketing refers to pieces that aim to attract users to your site, simply put. The content is most likely easy to share, and hence has the ability to go viral on social platforms. Body: Dives into the lows of entrepreneurship including failure and burnout. Little focus on the product but drives a lot of traffic. There will be a portion of your visitors that visit your site organically, either through a search result or via another referring site. These visitors are typically more engaged as they have a specific idea of what they’re looking for in your content. The content is likely more in-depth, and geared towards those that aren’t already familiar with your product. Body: Breaks down the steps to validating an e-commerce business, and how to do it on Shopify. The call-to-action is signing up for a free trial. After creating content for a while, you will have developed a dedicated following, either through consistent visitors or potentially through an email newsletter. These users are evidently familiar with your product and content, but their engagement will decrease over time. For a business, their customers or cold leads typically fall into this category. The content, therefore, is designed to re-engage users by bridging the gap between your product and their interests. Body: Highlights how 2 Chainz became successful on the platform, and touches on the functionality and use of the product. Could be sent to customer/user segments depending on their engagement. Like a cheese platter, you need to understand how your content pieces fit together, and how that defines your content strategy. Simply attempting to write viral pieces will lead to a lack of cohesion in your content, and probably be reflected through a high bounce rate (users leaving your site on that page) along with a low time spent on site. As a business, it also makes it challenging to get users to convert to buying your product, as they all have low engagement. Once you have written a few pieces of content, check your stats and see how each piece is performing, and what their focus is. I.e. if you are a food blogger, and your first few pieces are on restaurant reviews, it’s possible that a piece on Mexican food performs especially well. You could focus your next few pieces of content on more Mexican restaurants, then create a “Top 5” post that is easily sharable, and links back to your other pieces of content. The “Top 5” post will get a high amount of traffic, and a number of users will follow the backlinks in your post to other pieces of content about Mexican food on your site. This increases their engagement, and increases the possibility of them reaching your conversion goal, i.e. signing up for a newsletter. I’ve already gone over an example of how personal bloggers can incorporate this strategy, but let’s take a look at another use case, this being for businesses. Start by reviewing the content you’ve already published, and categorize it based on how it relates to your product. I.e. a restaurant marketing software company might categorize its content into segments such as “Case Studies”, “Industry Information”, and “Product Features”. Once you understand the basic focus of each of your pieces of content, try to further group them based on their role in your customer funnel. I.e. an industry report might be top of funnel content, meant to attract leads by giving them insights on the industry while collecting email addresses. Case studies on the other hand may be grouped as bottom of funnel content, meant to be used when leads are already in a conversion with a sales rep and need to be nurtured to speed up the sales cycle. I write more about email nurture campaigns in sales in this post. The next step is very similar to that of a personal blogger, where you review the performance of these posts. If you haven’t already, you should set up goals in Google Analytics to see how well each of your posts convert. Looking at both how your content fits into your customer funnel and how well each of them is converting will give you direction on what to focus on creating. I’ve added a photo below of how content works in relation to a customer funnel for a typical business-to-business (B2B) Software as a Service (SaaS) company. For example, if you have a lot of case studies that convert poorly, it might be a good idea to syndicate them, add some additional information on the industry, and create an e-book on how companies can adapt to the changing dynamics of the industry to stay competitive. This may become an amazing source for new leads opposed to being part of nurture campaign, and isn’t hard to do since you already have the posts created. Crafting a content strategy that values and incorporates both fresh and older content is a sure-fire way to increase user engagement. Though it may take some time to see the results of your efforts, investing the time now will ensure your site and product reflects a cohesive brand and reduce the volatility of your customer funnel. Looking for more marketing tips? Sign up for my email newsletter below and receive exclusive pieces from me, along with a curation of the top pieces I’m reading. Thanks for subscribing! Remember to confirm your subscription via the Mailchimp email in your inbox, and stay tuned for updates. I’ve never had a great relation-ship with math (pun intended). From Grade 9 onwards, the increasing complexity of the subject and my inability to find practical applications for it led to a downhill spiral. It was my lowest mark every year, and I couldn’t wait to be done with it. In fact, in Grade 12, admissions officers from Western University came to visit our school and the first question I asked was whether I needed Advanced Functions to be admitted. The second they said no, I raced to the guidance counsellor’s office and dropped it, no hesitation. Granted, it did limit my options. The Ivey School of Business was the only business program in Canada that allowed me to apply with only one of the three available high school maths, this being data management. Aside from Ivey, all my other choices were arts programs. I loved business, but hated math, so it seemed like a decent trade-off. My experience with business at that point only reinforced my assumptions. Competitions like DECA mimicked university business programs, where most cases related to marketing were high-level. For example, a presentation on a case with the Golden Globes sounded more like “Here are new ideas for marketing campaigns” than “Here’s a new channel for advertising, and how we’re going to promote and track it”. To be fair, that would be a little much to ask from high school students so I understand the logic behind keeping the problems/solutions high-level... Although I wasn't as lenient when I judged the Regional competition 😂. It was only a matter of time before math crept back into my life. During my sales internship at Shopify Plus last summer, my manager wanted to know how to predict lead and deal creation so sales hackers knew how they were performing. The other interns didn’t seem phased, and proceeded to create an Excel model to answer the question. The results were immediately implemented, and brought value that I couldn’t emulate. While I found other ways to contribute to the team, a qualitative observation simply doesn’t carry the same weight unless it’s backed by data. When I returned to school, I took on a few marketing roles that only confirmed my assumption that math was a necessity. On a basic level, it could be comparing open and click rates on email campaigns, and on a more advanced level it could be monitoring Cost Per Lead (CPC) on a paid campaign to make the most of one's budget. To be fair, marketing doesn’t require the intense math that may be required by an engineer or actuary. However, you can’t be scared of numbers. Avoiding numbers simply limits your value as a marketer. For a relatable and timely example, I’ll use Lebron James and basketball. You can do well being an amazing shooter or a playmaker, but unless you have the full package, you can’t be an all-star. Similarly with marketing, you can’t truly emerge as a great marketer unless you have a strong grasp of the various skillsets, which includes data/analytics. Realizing I lacked data skills led me to apply for my current position as an intern on the business operations team within Shopify Plus. During my first week I started to learn SQL to pull data and ramp up my Excel skills. My work within the revenue operations pillar confronts the exact area I felt I fell short in, i.e. justifying marketing spend and analyzing the results of our efforts. Although daunting at first, now being a month in I’m feeling a lot more comfortable dealing with data. Furthermore, I found that being on the frontlines of data analysis has helped me to better think about problems. I’m faster at identifying the root causes to a question about campaign performance, and look for an answer in data before making assumptions. I‘m no pro at marketing, but I found that focussing on skill sets makes it a lot easier to improve my marketing ability as a whole. I’m still very green when it comes to SEO and paid advertising, but knowing that helps me realize what I need to learn and where the gaps in my marketing skills are. Thanks for subscribing! Remember to confirm your subscription via the Mailchimp email in your inbox. And my take on reading too much. I often wonder if I’m reading too much. I’m subscribed to about 14 different email newsletters, which all fall into a handful of categories. LAUNCH Ticker gives me a 2-minute overview of what’s happening in the tech scene, INSIDE Venture Capital gives me funding updates, and Mattermark Daily is a combo of the two. I find these updates to be helpful in daily life. The tech industry is constantly changing, and knowing what is/isn’t the next big thing makes for great conversion with my equally nerdy tech friends. I’d also highly recommend venture publications to anyone that is looking for a job/internship. Companies that recently raised funding are probably looking to scale, and would be open to hearing how you can add value. My Medium Daily Digest and Pocket Hits are tailored based on what I subscribe to in each of those collections; categories like technology, startups, and culture to spice things up. I find that many of these articles aren’t exactly ‘required’ reading, but they instead replace what I’d imagine I’d be reading before going to bed. Articles on the journey of immigrants, finding one’s passion, and fitting into a new environment are all relatable to me and keep me thinking about life. Newsletters like First Round Review, Groove HQ, and other practice-specific publications help me get a better grasp on skills like digital marketing through in-depth case studies and extensive reports. These are often incredible reads, but the trade-off is timing. First Round Review, for example, recently published a piece on how Zapier was able to scale its business while only having to raise a single funding round. There a lot of great caveats, but it’s definitely a solid 10–15 minute read. But am I reading too much? I am a huge fan of Tomasz Tunguz and Avinash Kaushik, but performance pricing for SaaS companies and the limits of machine learning may not appear immediately applicable for a 2nd year university student. But does that mean that I shouldn’t be reading it? Not at all; in fact there may be a time in the (near) future where I might find a piece on SaaS pricing very useful. However how do I determine if it’s worth reading now? When looking at an article, I tend to quickly evaluate it based on three criteria: short, similar, and soon. Short: could I consume this piece of content within 5 minutes? Similar: is this piece relevant to my immediate interests? Soon: can I apply what I learn in the next week? If it passes all three criteria, then it is probably worth a read. Most newsletters from my ‘Quick News’ category can be consumed in 1–2 minutes, revolves around my interests, and is applicable to daily conversation and/or worthy of a tweet, so they generally pass. In contrast, many pieces from my ‘Deep Dives’ category are often archived since they are either (1) too long (2) very niche or (3) not applicable to my current situation. I make a point of revisiting my ‘Read Next’ folder every few weeks to see if anything jumps out, but generally I see the folder as more of a ‘Future Content’ grouping than ‘Read Next’. It took me a while to get a handle on what newsletters were relevant to me, as a student interested in tech and marketing, and I can imagine it would be the same for others. So I decided to start a bi-weekly collection of articles that pass the criteria and would be helpful to people like me. I’ll link the article, give a short summary, and state how it’s applicable. Think you'd be interested? Drop your email below and I'll add you to the list! Thanks for subscribing! Confirm your subscription via the email in your inbox, and stay tuned for updates. This famous line from Glengarry Glen Ross stuck out in my head when I started my sales internship last summer. The goal of every call was to qualify the lead, and every email was an opportunity to move them further along the pipeline. Why waste your time with people that won’t buy? The challenge to this approach is that it neglects the idea of the customer journey. Not every lead that comes through your doors will be ready to buy, but they could be a good fit. In the B2B space, there is a norm for how startups progress in their team structure. After validating their product, the first hires (after engineers) are normally sales reps, whose newly recruited customers create a feedback loop with engineers on how to improve the product. 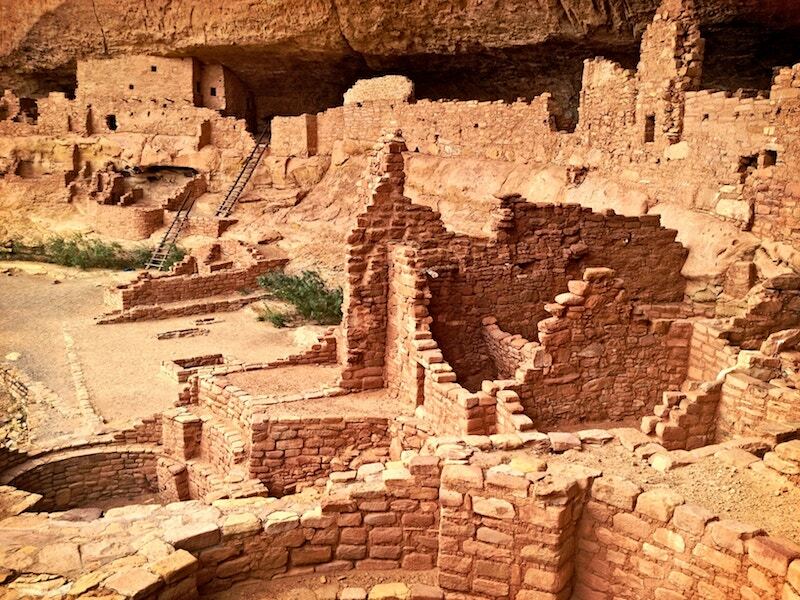 The chasm that startups face is when to hire for marketing. Why create content if you don’t have the traffic to see it? If your sales is primarily outbound, and based off cold email and lead lists, there really isn’t a need for an active blog or marketing collateral, right? Your team is pretty small and you don’t have the budget/time to hire for marketing. But you're not on HBO. Startups who make this mistake are being reactive, not proactive. Salesforce reports that only 2.5% of lead lists convert into opportunities. The reason is aforementioned; not all leads are ready to buy. Your sales reps could be wasting time trying to convince customers of your product’s value, instead of focusing on leads that are ready to buy. Bad Timing: they just entered into a contract with another provider, and won’t be ready for another year. No value: they don’t understand the problem you’re solving, and subsequently don’t see the value of your product. Analysis paralysis: there are too many solutions in the industry, and they think it’ll take a few weeks to discuss. This is the perfect time to implement an email nurture campaign. Each of these segments can be targeted with messaging that will increase their probability of converting to a deal when they talk to your sales team again. Let’s go over the different campaigns you can structure. You might think that your sales rep should just set a reminder to follow up with that lead in a year. However that means that the follow-up requires a lot of catch-up. Hubspot states in one of their articles that leads that go through some form of email nurture have a 23% shorter sales cycle. Email nurture saves your rep from having to recap new product offerings, while your lead would have a better idea of their fit based on their changed needs from a year ago. If someone doesn’t see the value of your product, your sales rep is probably just wasting time trying to convince them, right? Exactly — but that someone else could be trying. It may take some time, but once that lead understands how your product works, and why they need it, they will be emailing your sales rep to buy, opposed to the other way around. There are a few stages this lead might move through before being ready to be sold to. I’ve listed them below, and how you can target them in your email campaign. This type of lead is often a gray area for startups. If the lead isn’t comfortable making a decision, your sales rep could attempt to convince them over a slew of emails and meetings, but there’s a chance this may not work and will simply extend your sales cycle. Having a funnel that nurtures leads when sales can’t close them will help to increase future conversions and build a database of leads that are constantly engaged. Eventually you will start to see the number of inbound leads increase WITHOUT spending money on paid ads or acquisition! I’ll be releasing a post shortly on how to create a referral campaign, so your leads that aren’t a good fit will refer you leads that are! Subscribe to my newsletter below and be the first to know. Thanks for subscribing! Remember to confirm your subscription via the email in your inbox. Mom wanted one doctor, but instead she got two arts majors. In Grade 9, I had the pleasure of accompanying my mom to the hospital for “Take Your Kids to Work Day” where she worked as a nurse in the cardiology department. Being both a South-Asian parent and a medical professional, she was ecstatic to hear about my interest in medicine. My brother was pursuing an arts degree (and presumably law school) so I was destined for med school. That was, until I started high school math. My dismal mathematics career was countered by my extra-curriculars, where I excelled in DECA, a high school business competition, and student voice activities. My love for public speaking and interpersonal skills made business school a natural choice. Although I did not know it at the time, this was the first time I made a conscious career choice. I recognized a deficiency in one area, and a skill in another. This has, and continues to be, the driving force behind my professional aspirations. 1. Your academic and professional aspirations should always align with your goals. Sure I could have continued in math and science, and probably been a solid B student. The challenge there was that I wanted to be a doctor, and med school simply isn’t possible with Bs. Nassim Nicholas Taleb in his bestseller, Antifragile, notes how those who thrive off disruption are most successful. Pursuing med school with a B average is waiting for disruption (rejection), while building a new skillset in anticipation of a new pathway was thriving off it. Coming to Western, I was dead set on the Ivey HBA program. Their recent employment report sheds some light on the composition of the program, with a whopping 52% of graduates ending up in either finance or consulting. I wasn’t especially interested in finance, so I gravitated towards consulting, which is complemented by the Ivey case-based learning method. I joined a number of clubs in first year, with Western’s Marketing Association being one of them. I don’t know what I want to do in business. Consulting gives you exposure to a number of industries and you learn a lot quickly. To dive deeper into my interests, and learn more about what interests me. I began to read a lot more about technology and business; getting daily updates on the tech scene from LAUNCH Ticker and Mattermark, while gaining expert insight from Tomasz Tunguz and Mark Suster. I love learning how B2B companies scaled their sales and marketing, and how B2C companies adapted their features to fit new audiences. 2. It’s not good enough to be a generalist. You need to do what you love, and be amazing at it. So naturally, I had to dig even deeper into not just what I was interested in, but what got me excited. If I pursued a career that I truly enjoyed and was not intrinsically disadvantaged in (like my doctor ambitions), then I could more easily learn and grow to become a master of it. I learned a ton by doing remote/contract marketing for Turnstyle, a tech startup in Toronto. This was marketing. Everything from content creation to paid advertisements, and email marketing to SEO was fascinating to me. I wasn’t particularly good at all of them, and some I had yet to experience, but the goal alone was enough to drive me. Like many other career paths, there were resources galore. I started with Neil Patel webinars and the Hubspot blog to better understand the field. I’ve bundled some of the most helpful pieces below. Eventually, towards the end of second year, I knew my path. I was en route to becoming a true marketer — so what’s next? This past week was my first as a business operations intern with Shopify. I expected to leverage my marketing and sales background to really propel the team, but instead was challenged to tackle a new skill: Data. 3. Even the pros have weak spots. Work on owning yours. Marketing is data-driven, plain and simple. Your ad spend needs to be tracked, and your content created based on customer data. Even though math was scary, at this point I knew that to be a killer marketer, it was a skill I needed to acquire. This was HTML source code pasted into Atom. I don’t need to be the best, but I need to be capable. A killer marketer is that much more powerful when they understand the other components of the business, and how their work fits into that bigger picture. I never had (and still don’t have) everything figured out, but I realized that I needed to constantly be questioning what I was doing, and why. I think wherever I am in my career, these three take-aways will apply and continue to point me to my true North. Thanks for subscribing! Check your email and click the link to confirm your subscription to ensure you're getting all my latest content. Two weeks into my summer internship with Shopify, I was feeling lost. After completing the laundry list of tasks my manager had assigned, everything I did felt “day-to-day”, with little purpose behind the projects. I wasn’t learning as much as I wanted to, and even worse, I felt like I was underperforming. With many smaller companies, I found this is often the case. Teams are small and move quickly, making it hard to find ways to integrate an intern into long-term projects without hurting overall productivity. I mentioned in my last post that this was the reason a lot of startups aren’t open to taking on interns. However, there are steps you can take to ensure you find your groove quickly at your new job, and make the most of the time you have available. Coming into my role at Shopify, there were about 10 tasks that were laid out for the sales interns to accomplish. We worked quickly, so within about 3–4 weeks, we had finished all the tasks. Our manager didn’t have the time to create new projects, so most of our work following that was day-to-day and added less value than we wanted. I spoke with a few other friends at the company who had been there for a while, and they were not surprised. Shopify did this intentionally. There are companies where you get clear work everyday. Then there’s other companies where the problems are clear, but you need to find the solutions. Then there’s Shopify… You have to find the problem and the solution. You are able to do your best work when you don’t just know the problem, you fall in love with it. And that’s the approach that Shopify took — if you find the problem yourself, you’ll be dedicated to solving it. 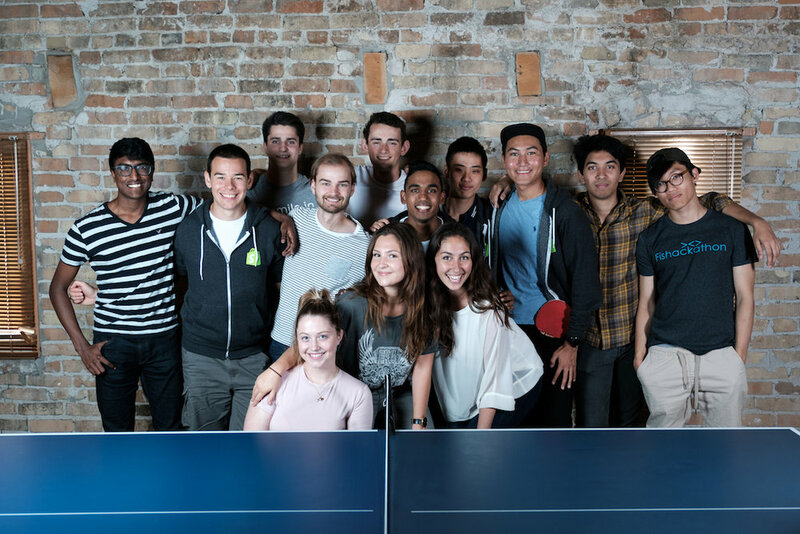 Squadify: The Shopify Waterloo intern team. So what does this mean for interns? It means you need to dive deep into the company and the work you’re doing. I spent a lot of time digging through sales data and speaking with co-workers before I found key problems that I wanted to tackle. At Shopify (and most startups) it’s a meritocracy, so if you present a solid case to solving a problem, you can get the approval to tackle it. I spent the next few weeks working with another intern on a script that did automated lead scraping via Google and LinkedIn, saving each sales hacker around 10 hours per week. I found a problem I was passionate about and delivered a solution I was proud of, making my internship feel a lot more valuable. I came in with the assumption that internships were all about learning, and while that will happen, don’t expect to learn everything. You should have a firm grasp on what you can do, what you know you can do, and what you want to try. Let’s clear things up with an example: your boss wants you to create a whitepaper on the food & beverage industry in New York, and here are your potential responses. I definitely can! I made another whitepaper a few months ago on the taxi industry in New York, so this should be no problem. I’ll give it a shot! I haven’t done it before, but I’ve read up on the components of whitepapers and have a good idea of how to approach it. No idea what a whitepaper entails, but I’m happy to give it a shot! Jobs in #1 are easy to get since you have experience, but jobs in #2 are what you’re really looking for, as it’s where you really learn. At Shopify, I knew how sales pipelines worked, but I never built one. When the project came up, I knew enough to get the responsibility, but still learned from practicing new skills. HackDays: Shopify's internal hackathon, where you get to ship a project with a new team. It’s not that you should avoid jobs in #3, but it’s unlikely you will get them. If your manager wants to get something done and you have no experience or idea how to tackle it, they’re better off doing it themselves. However, if you see jobs in #3, the best thing you can do is practice them on your own time. At Shopify, I was curious about lead generation, and started to read up on it. Near the end of my internship, I was able to convince the growth team to involve me in one of their lead generation projects. Had I not read up on the topic area, I would have probably just slowed the team down. During one of my interview rounds with Shopify, I had a challenging chat with one of the sales managers. He asked me why I wanted to work at Shopify, and I jumped into a response about loving sales, and how it both rewards hustle and yields tangible value for my work. His response changed the way I approach the internship. You can learn sales anytime in your life, and at any company. 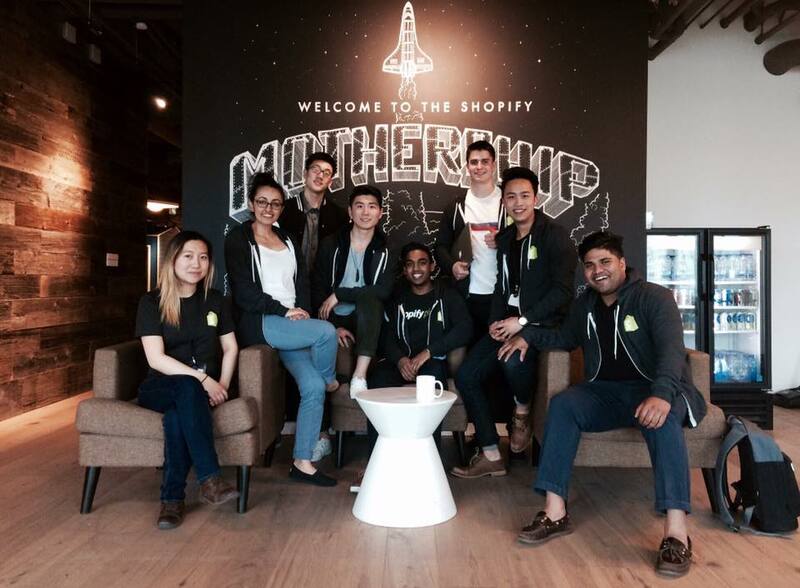 The value in this internship is getting the chance to work at a rocketship like Shopify, and the experiences you can have. He was right. Sales was great, but the opportunity to be part of the inner workings of an explosive company was even better. I learned a lot about various other departments, like customer success and engineering, and even found a better fit with business operations, where I’m interning this summer. I did this by exploring everything that interested me — if an engineering project sounded intriguing, I’d chat with them about it. Eventually by August I discovered a lead generation project with the Growth team, who worked at a different office, which really exposed my passion for marketing. At the end of the day, internships are a 4-mth opportunity to explore your interests, so pigeon-holing yourself in one department limits your experience. Be sure to talk to others and see what interests you, because you never know what you might find. Not sure where to start? I’m sharing a sample deck with my email newsletter that I’m presenting to Shopify to make the most of my summer internship. Subscribe below for access! As my phone rang, butterflies ran through my stomach. I’d spent the last few weeks sending countless emails to startups, asking about the potential to intern for them and finally got a phone meeting. While I did a bit of prep work by looking over their website, I was banking on my personality and business knowledge to carry me through. After all, I did DECA in high school and felt pretty prepared for what they could throw at me 😂. Students generally have limited work experience, so it may seem impossible to answer a question like this. Through this process, I faced a few obstacles to getting an internship and learned how to overcome them. Half of all available jobs are not posted online, and this is even higher for startups that don’t have dedicated recruiters. With a headcount of 10–30 people, many of which are developers, the thought of hiring an intern probably never comes to mind. So when you do suggest it in an email, most startups might see it as too much of a hassle to bother with. Mikael Cho from Crew also wrote a great post on how you can stand out of the pile, with direct examples. Out of all my extra-curriculars, the majority had one of two outcomes: event-planning experience (i.e. conferences) or fundraising experience. With a startup, neither of these are particularly relevant to day-to-day operations or an intern. So you need to find ways to work past that. If you’re interested in email marketing, building a newsletter using Mailchimp for your interest in cars can be a start. If you’re interested in data, Tableau has a free student version that you can play around with. There is also a ton of literature out there on these practices, i.e. marketers like Sujan Patel and Om Malik. While you may not have experience, you can show passion. This immediately sets you apart from the crowd, and shows the hiring manager exactly what you want to learn. This makes it easy for them to see where you fit in, and where you can grow. I love my parents, but mechanics and nurses aren’t the best for giving hot referrals to tech companies. Having a referral at a company is very important, but it doesn’t have to be a long-standing or family relationship. At startups, the point of contact might be the CEO or VP Marketing, given the small team. LinkedIn is an incredible tool to finding people that work at the company you’re targeting. Simply searching “Marketing at Company X” will return a plethora of results, as seen below. You can then use free tools like Hunter and Verify Email to get their email if it’s not listed, or reach out via other mediums like Twitter. I want to make this as easy as possible, so here’s your 3-step game plan on how to get an internship. Using tools like Crunchbase or directories like MaRS DD and Ryerson DMZ, you can find tons of local startups that you are interested in. Make a shortlist of ~ 50 that you find intriguing. Use the tools listed above to find people who work at the company and their emails/contact info. You can use an Excel spreadsheet to keep track of who you’ve reached out to, and what meetings you have. I recently was introduced to a free tool called Huntr that helps you manage recruitment. After you’ve identified your interests, dig into the company and see where you might be able to add value. I found that making a slide deck or one-pager is very helpful, though you may want to wait until after you secure a meeting to do that. Names and other details whited out, though it’s proof the method works! Once I learned what their needs were, I put together a deck on what I could bring to the team. By the end of September I had a part-time, paid job! I’ll start by sending you my personal slide deck to give a template on showing your skills, experience, and interests. You’ll also be the first to know about new posts on career tips and industry interviews, along with a curated crop of job postings. Why your career is a path, not a choice. Disclaimer: Patrick did not actually play in the NHL. This is part of my Valley interview series, featuring a diverse range of marketers. For some context, read this post to learn why I went to the Valley and then this post to see what I learned. My path into tech marketing has thus far been one of advanced planning and precise calculation. Like many students, I worry about getting a job I like, and so I put a lot of effort into learning skills and having experiences that make me an ideal candidate. Patrick Frost taught me that having a strong profile is more important than having a clear path. Patrick studied history at Denison University, a small liberal arts college in Ohio, primarily to play varsity soccer. Knowing a full-time career would be quite time-consuming, Patrick prioritized two things he loved: travel and skiing. He spent 2 months travelling across the West Coast, eventually settling in San Francisco; a big city with access to mountains nearby. Patrick has always been passionate about sports, so naturally he jumped into the sports industry after graduation. He spent more than 10 years working for the San Jose Sharks in sales. Here, Patrick championed a number of areas including ticket programs, partnerships, and offline marketing. It was fun, but he was restless. I wanted a new challenge, and tech seemed like it. Being in the Valley, I’m always hearing the buzz and following the trends, but never as a direct contributor to it. Most people might assume here that Patrick made the jump directly into tech marketing, but this wasn’t exactly the case. Square was at a young age and didn’t have a sales team, which would have fit his skillset. His eventual role? Customer Support. Patrick and I chatted in one of these alcoves. Albite not the most glamorous role at a tech company, Patrick was determined to work at Square and was happy to start at Customer Support to learn the product from the ground up. He worked hard to build rapport at Square, harvesting relationships within the company and keeping an eye out for new opportunities. A year into the job, that opportunity came. Starting as a Channel Marketing Manager, Patrick used his existing knowledge to develop association partnerships for Square and run marketing events, all with the goal of user acquisition. Being in a new industry, he still faced a variety of challenges and had to learn quickly. One area that Patrick emphasized was learning how to frame problems. In order to get approval for new campaigns, he needed to find the right data and present it in a way that proved to his team members that he deserved the resources. Now focused on Marketing & Partnerships for Square Canada, I asked Patrick what he was keen on learning next. He mentioned, coincidentally, that the position of product manager was the next thing on his plate. I have a good grasp of sales and marketing, but you need to really understand what other teams do in order to get the ball rolling. That means diving into areas that you aren’t necessarily comfortable in. Quick action shot before leaving the premises. What I learned from Patrick was not that you need to start in support to get to your desired role, but rather that you need to focus on optimizing for learning and not for future roles. Doing the latter might mean you’re looking for an opportunity when there isn’t one, but always being prepared puts you in a much more desirable boat. I personally plan on pursuing something called t-shaped learning. The idea is to have a good grasp of the various areas in your practice, and have a strong expertise in 1–2 areas. For me, that means understanding SEO, paid advertisements, and data management, while going deep on areas like email marketing and customer segmentation. Getting work experience from ground zero can be difficult; subscribe to my email newsletter and get an EXCLUSIVE piece on how you can start. Turning a fear of numbers into a passion for numbers to succeed in growth marketing. I sat on the sofa to the right, in case you were wondering. If he rattled off his skills, you wouldn’t guess that Axel Amar was a growth marketer. With a commanding knowledge of statistics, experience working with SQL and Python, and the ability to write code, he might sound more like an engineer than someone that went to business school. But for Axel, those are just some of the necessities of the role. Axel started at Turo, a P2P car rental service, in early 2014 as a growth intern. For many business students in France, San Francisco might not seem like a popular destination, but Axel was not new to travel. He had already completed a data internship in Malaysia and was looking for a new challenge. Growth marketing may seem like an odd jump for most, however many skills were transferable. For startups like Turo, everything you do needs to be backed by data. Whether it’s an ad campaign, an incentive program, or even a small tweak to the signup process, it needed to be quantifiable. Being comfortable with numbers, Axel had little trouble building a case for his work. After completing his final year of school, Axel returned to Turo full-time in July 2015. Despite having lots of good ideas, the team didn’t have the resources to implement them. Developing marketing campaigns and analysis are not always the top priority for engineers and data scientists. So Axel did what any marketer would do; he learned how to do both. Having a solid base in statistics meant picking up SQL and bits of Python for practical use wasn’t that challenging, and an existing background in programming allowed him to champion the project himself. Just a year later, Axel was promoted to Growth Manager and a lot more responsibility. While Axel’s story does sound extraordinary, he assures me it isn’t the case. Even with a well-rounded background, Axel is still trying to learn more. He mentioned that being able to present well and visualize data is a key skill in growth marketing. Makes sense? Let’s give it a shot. 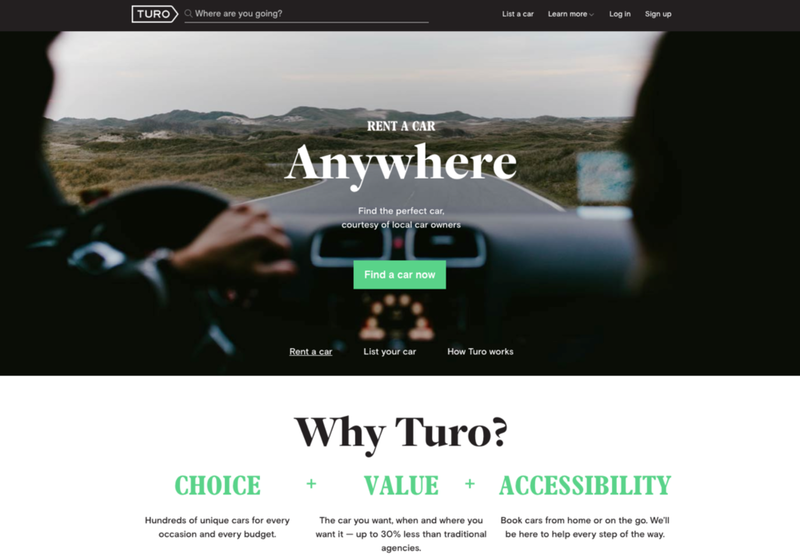 Say we wanted to test an idea on the Turo web page below. We’ll break down the process and list the data we need to back it. Hypothesis: By changing the copy from “Rent a car Anywhere” to “Make Your Own Schedule” and the button from “Find a car now” to “Explore the City”, conversion to renting a car will increase. Reasoning: People use Turo because public transportation is hard to plan, and they want to see the city on their own schedule. This is a simplified example, but the case is clearly outlined and is a lot easier to pitch if backed by data. Even if the campaign fails, it was not a ‘random test’ but rather a calculated attempt at increasing conversions. Learn more about marketing analytics by subscribing to my newsletter below! My biggest take-aways and realizations from my trip to the Bay Area. Building a $19B company was a lot easier than I imagined. It was 5am on the Wednesday of reading break, and my blaring alarm seemed further than ever. I looked over at my roommate (which wasn’t hard given the tiny bed we were sharing) and we were both thinking the same thing. While our friends were boozing in Mexico, we had the bright idea of ‘discovering the Valley’. There had to be a reason. In my last post, I mentioned I wanted to go to San Francisco to better understand the work/life culture there and what it took to break into product marketing. Throughout the week, I absorbed countless pieces of advice, insights, and general observations about life in the Valley. Taken with a grain of salt, here are the main things I learned. Walking down Market Street, I saw the offices of Uber, Square, Twitter, and countless other dynamic tech companies. I imagined how incredible it would be to work for any of these companies, regardless of the position. 45 minutes later, after my meeting in that same building, I realized I was a little naive. Not pictured: the security guard wondering if he should ask me for ID. Airbnb received over 50,000 applications for just 300 jobs in 2015. It’s no question that Airbnb is a competitive place to work, but once you get there, it’s a different story. What you accomplish is far more important than role description. Marketing means nothing if there aren’t any conversions, as does sales if you aren’t hitting quota. Engineers breed products, marketers breeds leads, and sales reps breeds deals (revenue). I found there is an emphasis of cohesiveness in the Valley; failing to know how you contribute to the bigger picture makes your job obsolete. Takeaway: I learned that I need to start focusing more on what the results of the campaigns I run were, instead of what I did to create them. “Increased email conversions by 79%” is a lot more impactful than “Created email campaigns”. I came into my trip expecting to find the perfect path to breaking into product marketing. After a week, my ‘perfect path’ included ad agency work, group sales for an NHL team, and management consulting. It also included having technical skills in statistics and data science, an education from a top tier school, and a plethora of soft skills that a seasoned CEO wouldn’t have, let alone a new graduate. Takeaway: I learned there is NOT one right way to build your career. People gravitate to different jobs based on interest and personal fit, and the best thing I could do is optimize for learning. I needed to constantly challenge myself with the roles I took on, and always look where to improve. Two liberal arts majors, but only one runs a billion dollar company. I’ve been in group projects where one person isn’t pulling their weight, but the team always manages to make up for it. Engineers in the Valley make upwards of $130,000 USD, which means for tech companies, they literally can’t afford to hire and retain people that don’t perform. Initially this was intimidating, but it also yielded a new realization. Being in the Valley means you are surrounded by high caliber people. Colleagues that willingly work from 9am to 9pm, and manage their side hustles on the weekend. Old mantras like “leave after your boss does” are replaced by a sense of drive and purpose that your entire environment emanates. If you can keep up. Takeaway: I learned that there isn’t room for mediocrity in the Valley. I found an area that interested me, now I needed to start honing the skills I had and start developing the skills I didn’t. Tracking results is a lot easier when you have the right tools at your disposal, and know how to use them. I’ll be sending out an exclusive overview of the exact tools you need to track and improve your marketing game. Deciphering the hype and finding out what makes the Valley tick. Sunny California was not all that it seemed (literally). For anyone interested in getting into the tech scene, joining high-growth companies that are changing the way we live on a day-to-day basis, the Bay area is the gold standard. Having experienced the pinnacle of Canadian tech and looking to take my skills to the next level, I decided to commit my reading break to understanding the Valley. I’ve spent the last 6 months honing my skills in product marketing, getting hands-on experience creating the email nurture campaigns, lead scoring, and site funnel layouts for some cutting-edge startups. At first glance, it might seem like I’m ahead of the curve. But to be honest, I’m a little confused. Product marketing is a mystical beast. It encompasses so many diverse areas of a business that being an expert on any one takes years of industry experience. While I want to break directly into product marketing, my lack of knowledge and experience is discouraging. Being a sophomore with a bit of runway before I jump into the real world, I thought I would try to figure out WHAT IT TAKES to be a premier product marketing manager and what elite tech companies are looking for in non-tech roles. So I did what any other stereotypical business student would do, and I maxed out my commercial search limit on LinkedIn within a day… But seriously, I reached out to people in my network that work/had worked in the Bay area, and cold emailed a ton of people doing business roles there. Most didn’t respond, some were a little nasty, but a good number of them were eager to help. In the coming weeks, I’m going to be posting excerpts from the chats I have and the main takeaways I learned from them. Some of them include Square, Twitter, and Airbnb. I’ll also be sharing some great resources and articles for students looking to jump directly into the tech world, but aren’t quite sure where to start.